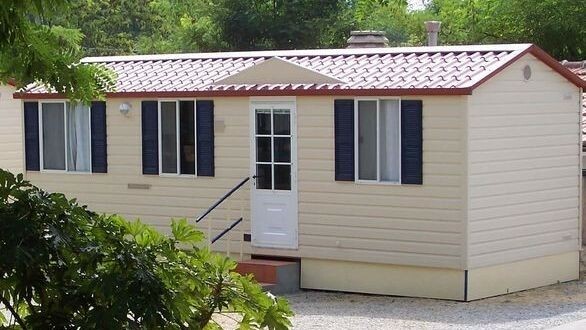 If you wish to find the typical camping atmosphere together with the comfort of a house, our mobilhomes - bungalows are the perfect solution for your holiday in Cinque Terre. Immersed in the green camping area you find all the comfort of an apartment: 1 double bed room, 1 bed room with 3 single beds, living room with kitchen corner and bathroom (hot shower, water basin, W.C.) Completely equipped with air conditioner, warm water, heater, Sat-TV (Astra), linen, dishes, cutlery box and all necessary kitchen utensil. Outside you find furthermore table and chairs, parasol, sun-lounger and barbeque. Private parking. Animals are not allowed.